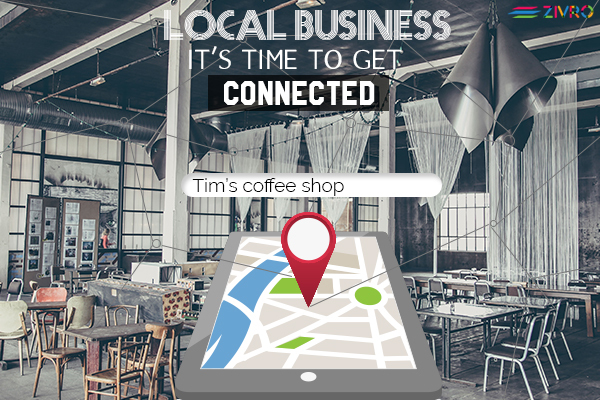 Our focus today is simply you - LOCAL BUSINESS OWNERS! THE MAKERS OF THIS ECONOMY. People like to eat fresh, They like to visit the local market, They love handmade. Your local customers are online. You need to have an online presence. It’s inevitable. You need to be found where people come often. You work hard enough to be open most of the time. Having no online presence results in “close” board outside your shop for most of your potential customers. Being online means being 24/7 open and that’s truly a good sign isn’t it? Most of your customers buy repeatedly from you. Lucky you! The community of loyal customers is what makes your business. It’s definitely a good business strategy to offer some extra benefits to them. An online presence serves as a notice board for inviting them to your business events which prove them that you’re not stale. In turn, this results in a better relationship and hence free branding too. You serve local taste. You serve fresh. Make yourself easier to find. You make fresh, you serve fresh. But what’s the point if you just stay hidden off a street. How do they know what’s going on in your kitchen today? Your customers are looking for fresh stuff, not the stale ones, so you have all the luck on your side. Be available when they look out for you. You are more reliable to them. Prove them right. Customers find you more reliable than just NON-Local ones because you stay next door or somewhere nearby. They know you personally. Imagine when this reliability is combined with the ease of buying from your shop online. They’ll never have a second thought to go NON-Local. How many times do you feel that your products are lot more cost efficient than your competitive ones? A lot many times isn’t it? Make this clear to your customers too. Your website serves as a transparent channel between you and your customers to communicate everything and anything. You’ve got Diversified products. Showcase them in a right way. When people can view what lies in your shop through their devices, you get more sales out of it. You might have stocked a lot many products which are sparingly seen by your customers who desperately want to buy them. Showcase them in the right place for the right kind of people to see. If you don’t take care of your customer your NON-Local counterpart business will. Make sure that you send out discounts, coupons and remind them what you’re up to. This can be easily done using your website in the quickest possible way. Customers like to discover interesting things and people. Get yourself found. Got some art pieces done by your close relatives that seems to be quite interesting? Make it visible online to grab the attention of customers who finds it interesting too. Make your Local shop visible on google maps because this is the place where people really find you. Tourists love locally made products. Make yourself more lovely. If you have no idea of where to start with, have a look at www.zivro.com. It is the cheapest and quickest way to go online, addressing all the technical & marketing aspects. You have all the potential to edge over the NON-Local Business.